Kurt Schwengel has been teaching Kindergarten in Santa Monica, Ca since 1995. 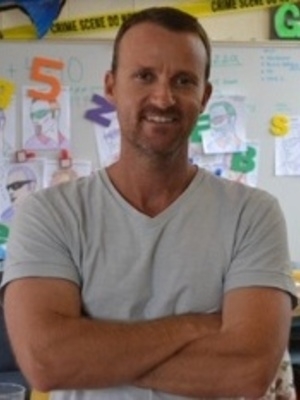 He is also a national presenter for a variety of topics ranging from technology to creative teaching. 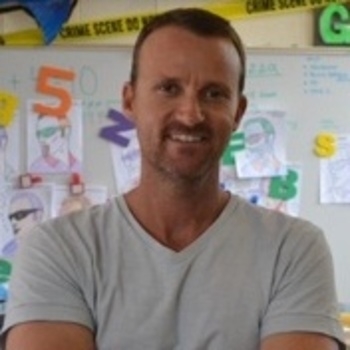 He is an "NBC Crystal Apple" winner, eHow education expert, Google Certified Teacher and SMUSD "Teacher of the Year". His Ted Talk "Occupy Kindergarten" has reached thousands of teachers across the country. Kurt attended and played baseball for UCLA from 1988-93 earning a B.A. in Anthropology and went on to earn a Masters in Education and an M.B.A. from Pepperdine in 1995. And after Kindergarten gets out everyday, Kurt is the head varsity baseball coach at Santa Monica High School. In 1995, Kurt created his original Kindergarten curriculum, "Rock and Roll Kindergarten" and has traveled to almost every state in the country introducing his curriculum to over 20,000 teachers. In 2011 he began his grassroots movement "Occupy Kindergarten" in an effort to "bring the fun back to Kindergarten". Kurt can also relate to any K-12 audience as he explores the similarities between how we reach Kindergarteners and how we can reach High School Students. Its all about Student Engagement and Kurt know how to engage regardless of the age of the student or teacher.